Says a study by economists at the University of Edinburgh, Analysis Group, and University of Sydney. The studies show that firstborn children have better thinking skills and higher IQ test scores than their younger brothers and sisters, even as early as age 1. This is probably a tough pill to swallow for all of you youngest or middle siblings. Although I’m the youngest in my family…I kind of get it. Dr. Ana Nuevo-Chiquero, from Edinburgh University’s school of economics said, “Our results suggest that broad shifts in parental behavior are a plausible explanation for the observed birth order differences in education and labour market outcomes.” This means that it may be suggested that it could be the oldest kids are receiving more mental stimulation. This doesn’t mean that parents aren’t providing the same level of emotional support to their children, the firstborns were just given undivided attention with tasks that boosted thinking skills to where the younger children…not so much. Does this mean that parents are pretty much over it by the time that younger siblings come along? That has yet to be determined, but one thing is for sure. There is a downside for eldest siblings. There is a lot more pressure for them to succeed in education and career goals later in life. So, it’s kind of a toss-up. Thanksgiving seems like it’s the perfect pregnant holiday. Who’s going to give you a hard time when you’re eating for two? As you have your second helping of…well everything, nobody will judge you for it. Yep – unfortunately there is a down side. Why is there always a down side? 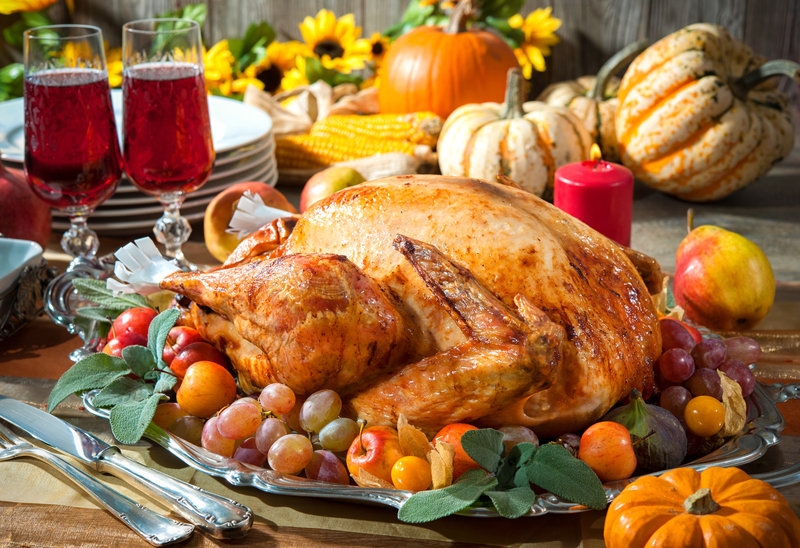 Before you have fun gorging on everything in sight this Thanksgiving, remember that while pregnant, you are more susceptible to food poisoning than a non-pregnant person. You’re probably going to be pretty surprised and bummed when you hear what foods are off limits while pregnant. Okay…this is a big one and huge NO NO while you’re pregnant and you’re not going to like it. No soft cheeses. Okay when your done screaming in disappointment, try to remember that soft cheeses like Brie, Camembert, feta, Mexican queso fresco, and blue-veined cheeses are often unpasteurized, which means they can harbor listeria (a particularly dangerous bacteria for pregnant women that can lead to miscarriage or pre-term labor). I hate to be the barer of bad news, but stuffing cooked in the turkey is a real bad idea while pregnant. 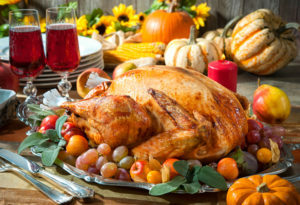 While the turkey is cooking, salmonella can seep into the stuffing. Now this might not be a problem for someone whose hormones aren’t going crazy from pregnancy, but for the expecting mom definitely not a good idea. You don’t have to give up stuffing, just don’t cook it in the turkey this year. I know you don’t want to…but to read the rest of the list at Cafemoms…CLICK HERE! Okay Moms, now that we have your attention, recent studies now show, girls not only benefit from having their dad around, but they also need their father to develop emotionally properly. In this day and age there are a lot of single moms. We have heard a lot about empowered moms who don’t need a man to help raise their little girls. But are we doing the child a dis-service? According to a study published in the Journal of Family Psychology, girls who have good relationships with their fathers are not as likely to develop anxiety and depression. The study also says they are better at handling everyday stress. The study states that a father forming a deep, healthy relationship with his daughter, helps her create a positive self-image. This allows her to establish a feeling of control over her life giving her the confidence to succeed. Unfortunately, even as eager to be involved as some fathers are, there are a lot of negative influences in the media that some men may find difficult to overcome. Almost every television show from the 1980’s to now portray fathers as bumbling idiots that know nothing about women. Fathers need to know how important it is that these stereotypes don’t have to be, and should not be followed, and are simply poor portrayals of what a father should be. To read the entire article at Peacequarters.com – CLICK HERE! This is not good news for me. I am second born – let’s read on to see how much trouble I’m in. A recent study shows evidence that second-born children are more likely to end up being trouble makers. 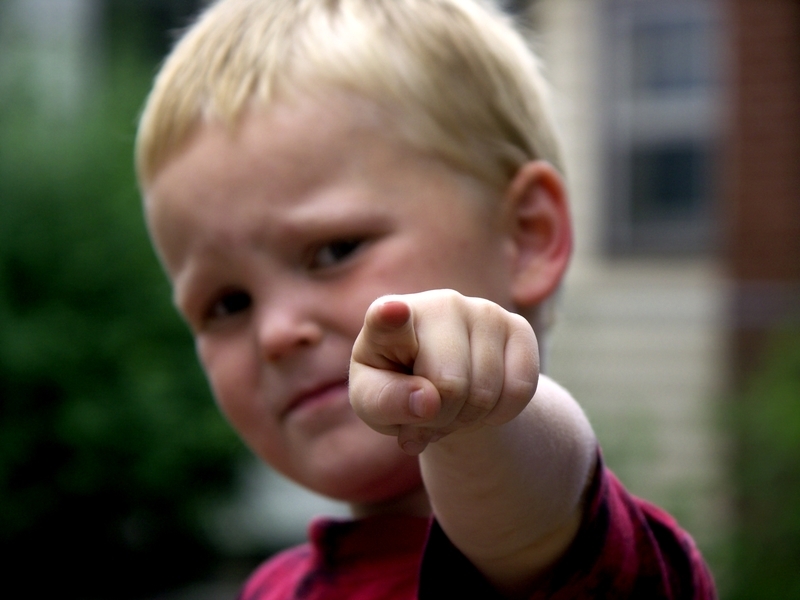 Second born children are more prone to trouble at school or to have issues with law enforcement later in life. As a second born child myself, I can’t say that I have any experience with getting in trouble with the law, but getting in trouble in school, I can certainly vouch for. The research was conducted at MIT, Northwestern and University of Florida ( and a few others) followed thousands of sets of brothers in Denmark and the state of Florida—two extremely different cultures. The studies found that second born children were more apt to rebel against authority figures in both locations. Actually, second-born boys are 20 to 40 percent more likely to rebel in school and enter the criminal justice system compared to first-born boys, even when we compare siblings. That’s pretty remarkable seeing as how the studies were done in different cultures. Why is this? 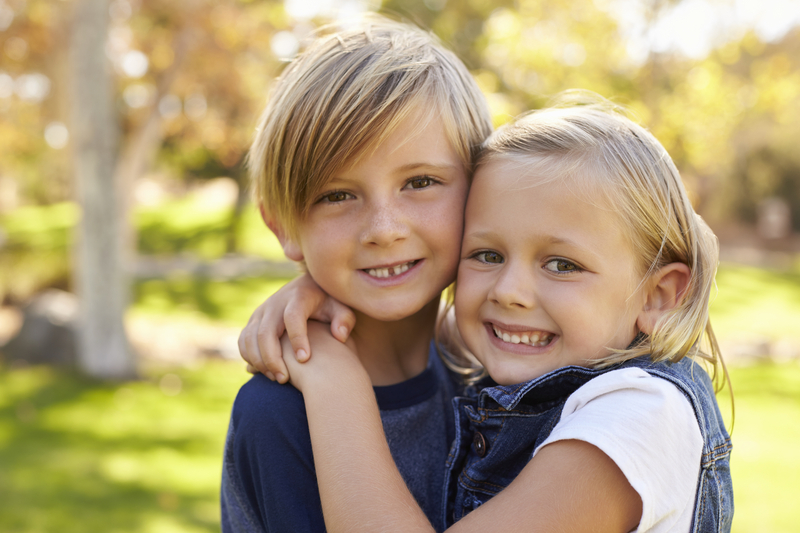 Authors of the study have theories that this higher risk of delinquency could be due to the fact that second-born children do not receive the one-on-one attention that their older brothers or sisters did. This may be one reason why they act out as a way to get their parents to pay more attention to them. To read the Full Article from Simplemost.com….CLICK HERE! Having a baby is one of the most exciting things you will ever do. Sure it’s a lot of work. It changes your entire life, throwing you and your spouse into a whirl wind of stress and confusion. It’s not all like that though. The good news is there is so much fun stuff that goes along with it. You get to pick out baby furniture, go shopping for baby clothes like little tiny shoes, tiny pj’s with cute pictures on them and decorating the babies room is a blast. If you haven’t experienced it yet, but plan too, you’re in for a fun time. Along with all of that fun stuff is picking the babies name. Wow…this is what your child will be called the rest of their lives. That’s a big responsibility, but it doesn’t have to be a stressful one. When coming up with your babies name the first thing is to come up with a system that you and your spouse create. Maybe something like a list, where both of you get to veto a certain number of names that aren’t what your envisioning. When picking a name for a little girl for instance, maybe you want a name that says princess, but your spouse envisions strength or independence. Do you want your little boy to embody a tough guy name, or something that says he has strength but also a clear feminine side? These are the things that will come up and important to communicate with your spouse. Thank goodness that there are lists like this one we found at Babbygaga. 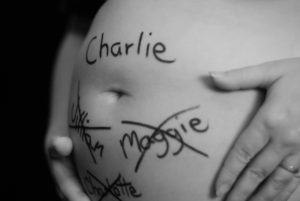 Here are a few examples of girl names that are becoming the ones that are most popular. For the full list of names – Click Here!